The major ABS markets have been tracking a mostly decreasing trend for the past couple of months. 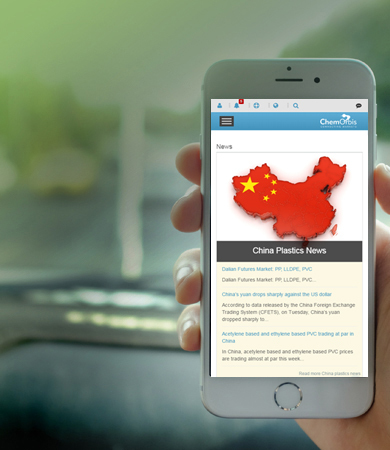 The recent slump in key markets in Asia and Europe followed notable declines in upstream costs. In China, traders cut their ABS offers further by around $25-30/ton last week, pointing to dismal demand amid plunging costs. Spot styrene prices on FOB Korea basis plummeted to their seven-month low on weekly average due to ample supplies while spot butadiene prices on CFR China basis moved below the $1100/ton threshold. The ACN market was also down by $40/ton on the week. “The price trend remains bearish owing to softening costs and muted demand. The fact that WTI crude oil futures have moved back below the $70/barrel level is also affecting the sentiment,” a seller noted. 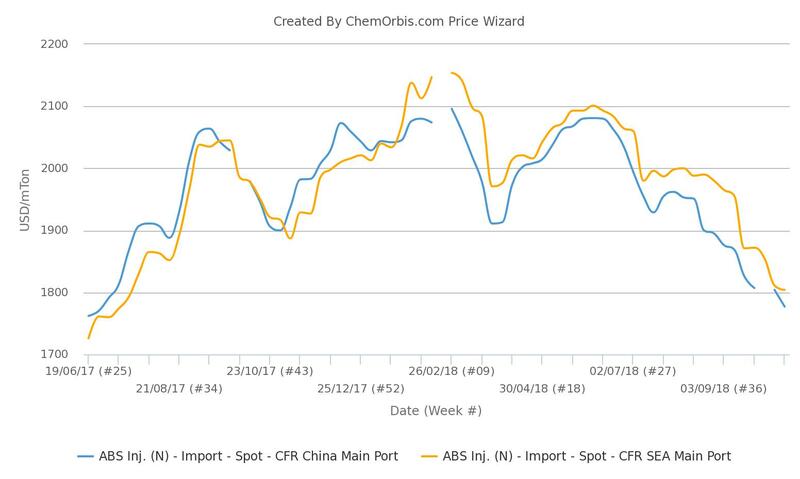 Data from ChemOrbis Price Index reveal that the weekly averages of import ABS prices in China and Southeast Asia hit their almost 16-months low last week. In Europe, ABS prices also witnessed additional decreases last week in the face of weak demand amid softer costs and comfortable supplies. Sellers reported that buyers refrained from purchasing beyond their urgent needs given their expectations to see further declines in November prices. 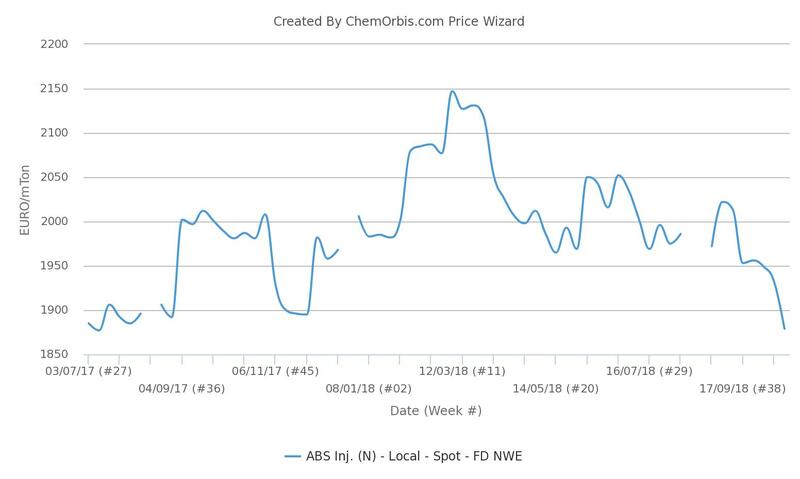 According to weekly average data from ChemOrbis Price Index, ABS prices on FD NWE basis reached their lowest levels since July 2017.